The concept of robot-tax and its viability in future - Invento Robotics: Robots for customer engagement. 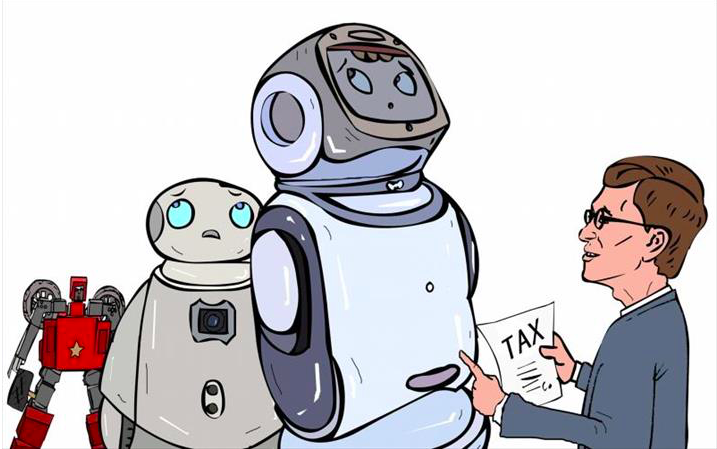 The question is how would you define a robot for these tax purposes? Should Google search be considered a robot for this? It is a software agent that takes your query, goes and searches databases and brings you a result that a librarian would have done. Should the macros in Excel be considered as robots? Should the various assembly lines in factories be considered as a robots? Did Bill Gates’ company not displace and replace workers in many industries? Why did he not ask to be imposed a voluntary tax when he started up? You cannot just randomly impose taxes on a new industry. If automation and job displacement were the criterion, start imposing taxes on textiles, car manufacturing, software industry etc. Ultra rich people like Bill Gates, Warren Buffet are asking for onerous taxes after they have climbed up the ladder that allowed them comfortable tax benefits. Looks more of hypocrisy than a well thought out idea.